An essential oil is the aromatic, volatile liquid that is within the flowers, roots, stems, leaves, bark, etc. of plants. It is most commonly extracted through steam distillation. The role of essential oils in plants is similar to the role of blood in our bodies. Essential oils are responsible for delivering oxygen and nutrients to different parts of the plants, ensuring it remains nourished and thriving. Essential oils are made up of complex chemical constituents that are constantly changing and adapting to best serve the needs of the plant. A single oil may contain as many as 80-300 or more different chemical constituents. This complexity is important because it allows the oil to have a variety of benefits. 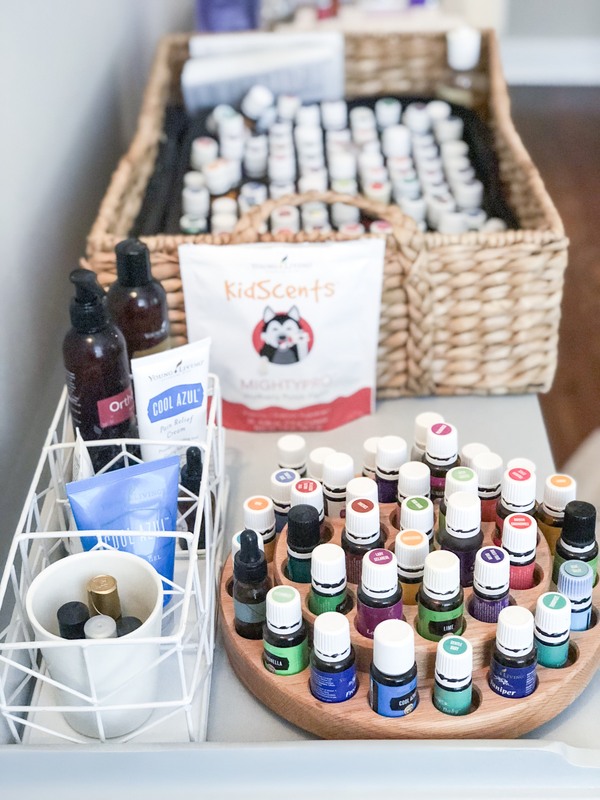 True, therapeutic grade essential oils are highly concentrated and have not been adulterated with other chemicals or perfumes the way many fragrance oils have. Adulterating the oils can be dangerous, even toxic, because it changes the intended chemical make-up of the oil. Essential oils have been used to improve physical, emotional and spiritual well-being for thousands of years. They may be used aromatically, topically, or ingested. Aromatically- Many people enjoy diffusing essential oils in their home to purify the air, enhance mood, improved energy, or to gain mental clarity. This can be a great way for the whole household to benefit from just a couple drops of essential oil. Topically- Essential oils can be applied directly to the skin either “neat,” or diluted with carrier oil. The oils are absorbed through the skin and reach every cell in the body in about 20 minutes! They can be applied to directly to the ailment (i.e. lavender oil onto a cut or peppermint on the head/neck for a headache), or to Vitaflex points on the feet that correspond to different body systems. A drop or two of oil will go a long way. Ingested- Some essential oils are safe for ingestion. Always follow your provider’s recommendations. When working with essential oils, using pure, high quality essential oils is of utmost importance to ensure the therapeutic benefit can be achieved. Many of the oils found in stores have been adulterated to make them cheaper, or distilled in a way that perverts the complex constituents of the oil, limiting its therapeutic effect and sometimes even rendering it toxic. Our office trusts Young Living oils and places our confidence in their policy for growing, harvesting, distilling and packaging their products. Founded by Gary Young, in 1993, Young Living has continued to serve as a leader in the world of essential oils, through its commitment to quality, sustainability, and education. Adhering to a strict “Seed to Seal” policy, all Young Living Essential oils begin on organic farms owned by the company, are harvested and distilled using the most advanced technology in distillery, and are inspected for quality before being sealed to preserve their integrity and potency. You can learn more about Young Living by visiting their website: www.YoungLiving.com. Aromatherapy is the art and science of using essential oils to balance, harmonize, and promote the health of the mind, body, and spirit. Its goal is to naturally support the body’s innate healing abilities. Modern lifestyles don’t always create optimal conditions for physical, spiritual, or emotional wellness. Poor diet, lack of exercise, and an overabundance of environmental toxins, coupled with busy schedules and demanding responsibilities can leave the body unbalanced and diminish energy levels. Aromatherapy and essential oils can provide the targeted solutions you need to restore balance and feel your best. Incense and essential oils from plants have always played an important part in religious and spiritual ceremonies, helping participants to transcend the trivial and connect with something larger than themselves. When essential oils are inhaled, they travel through the olfactory system (our sense of smell) which sends a signal to the limbic system of our brain. The limbic system is responsible for our emotions and learned memories. 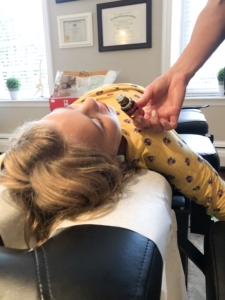 Essential oils have proven very powerful in supporting emotional well-being because of this close connection to the limbic system. –Help to combat normal stresses that creep into every day life. Dr. Heidi offers 1 on 1 personalized, aromatherapy sessions designed to help you navigate your health from mind, body and spirit perspective. Her sessions pin point negative patterning and redirect these patterns into fresh and healthy pathways to allow for greater healing. Negative programming impacts our bodies on a physical, emotional and spiritual level and can create unwanted behaviors and patterns in our lives. 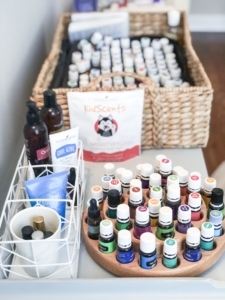 Dr. Heidi incorporates aromatherapy and energetic practices to encourage you to come into a place of greater self knowing and understanding and to ultimately live with a deeper sense of purpose and clarity.